After sun treatment for sunburns or rehydrating your skin and hair requires the combination of drinking lots of water and using moisturizing lotions, creams, shampoos and conditioners. 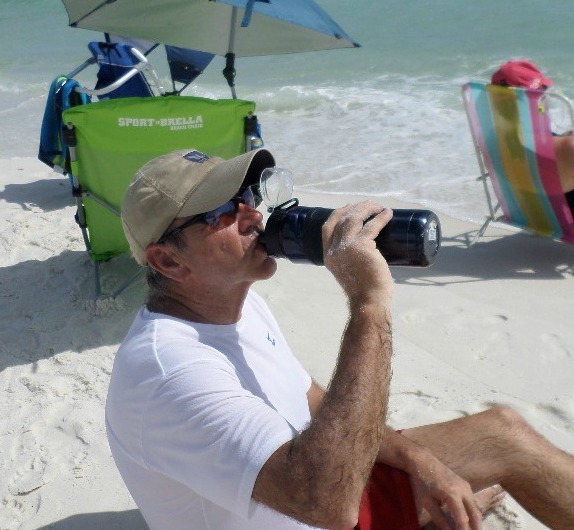 Did you know that most people are dehydrated ...even before spending a day in the sun or at the beach? At a recent visit to a health practitioner, my husband was told that he was dehydrated. When asked how could he tell, the medical provider said he could tell by the texture or tone of my husband's skin. So you can put on all kinds of lotions to moisturize your skin, but without lots of water you won't see the benefits. According to the Mayo Clinic "Water is your body's principal chemical component and makes up about 60 percent of your body weight. Every system in your body depends on water. 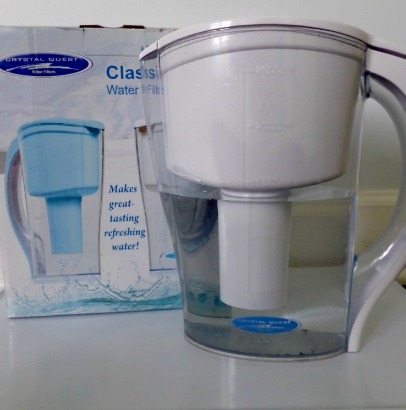 For example, water flushes toxins out of vital organs, carries nutrients to your cells, and provides a moist environment for ear, nose and throat tissues. Lack of water can lead to dehydration, a condition that occurs when you don't have enough water in your body to carry out normal functions. Even mild dehydration can drain your energy and make you tired." There are some beverages that can actually promote dehydration such as caffeinated drinks like colas, teas or coffee. Alcohol also promotes dehydration and should not be considered in your adequate fluid intake. Bottom line - drink water. When someone get's too much sun and their skin needs soothing, the first product most people think of is aloe vera. There's good reason for that. Aloe vera gel soothes inflamed skin (especially if you keep it in the fridge) providing not only relief but moisture as well. 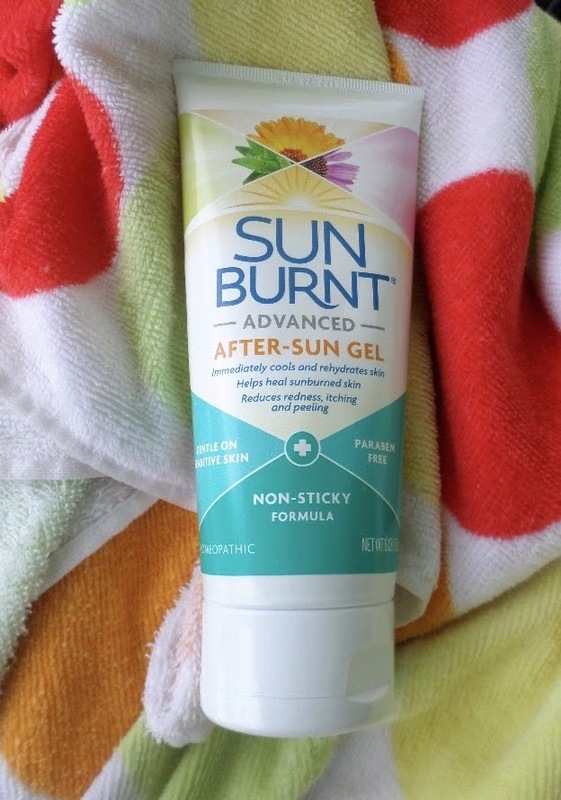 SunBurnt’s after-sun products combine some of Nature’s best hydrating and skin nourishing ingredients like Aloe Vera, Calendula, Echinacea, Cucumber and more to immediately cool, soothe, rehydrate and nourish hot, dry skin after a day at the beach. Our favorite aloe vera gel to bring to the beach is one that is derived from organic and cold pressed aloe vera plant with added vitamin C and vitamin B12 to nourish the skin. The gel is lightweight and feels cool on your skin (be sure to avoid any contact with your eyes). If you are looking for sunburn relief press 2-3 pumps between the palms of your hands and massage onto clean skin. Moisturize after you put on the aloe vera. It works especially well if you put it onto slightly damp skin right after you've showered. 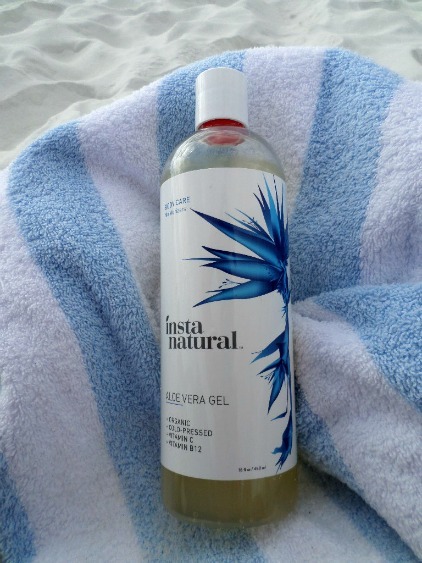 Guess what - your hair will love the help it gets from aloe vera after sun treatment. Pump 1-2 drops between your palms and massage onto your dry scalp and comb the gel through your hair. Let it sit for up to 30" and shampoo to remove. You can also apply the gel just to the ends of your hair to hydrate. Your hair will feel so soft and silky. 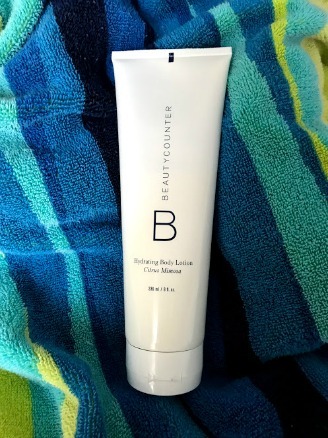 The best skin moisturizer penetrates the top layers of your skin and provides hydration to dry skin - all the while using safer ingredients that won't disrupt your hormones, contribute to cancer or promote allergies. 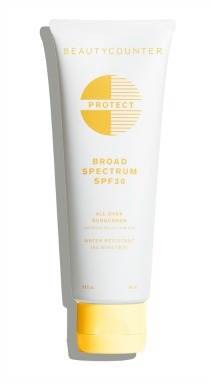 You will love how well this after sun body lotion absorbs quickly into your skin leaving it feeling smooth and hydrated. A slight citrus fragrance using real orange and lemon peel oil has a refreshing scent while the safflower seed oil and jojoba butter moisturizes into the deep layers of the skin. We always bring this after sun body butter on our beach vacations. 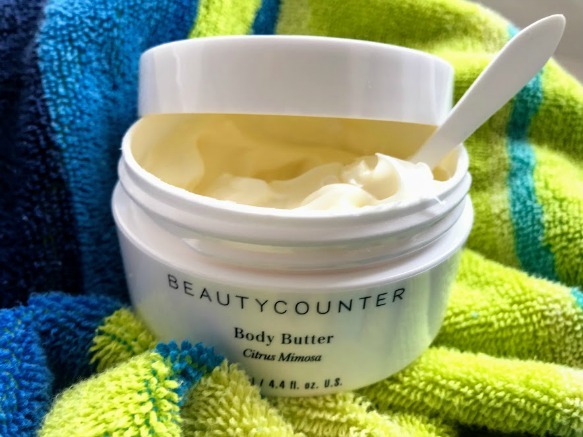 It's thick and creamy yet absorbs well leaving your skin feel hydrated but not oily or sticky all without using harmful chemicals, preservatives or fake fragrances. Did you know that the United States only bans 11 (!) chemicals and doesn't require any testing of ingredients before they are used in our personal care products? What you put on your body is as important as what you put in your body. 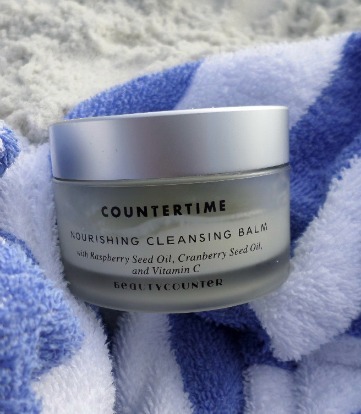 Choose safer products with Beautycounter that has 1500 ingredients in their NEVER LIST of ingredients. 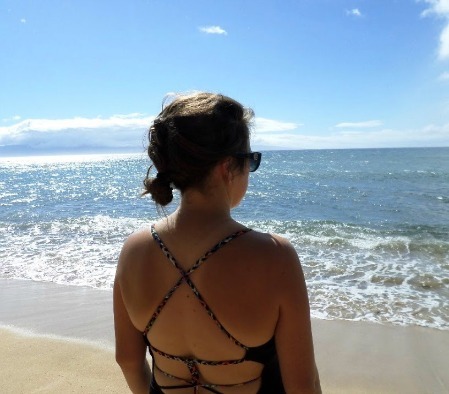 After a day at the beach and in a chlorinated pool, your skin can get really dried out, flaky and itchy. 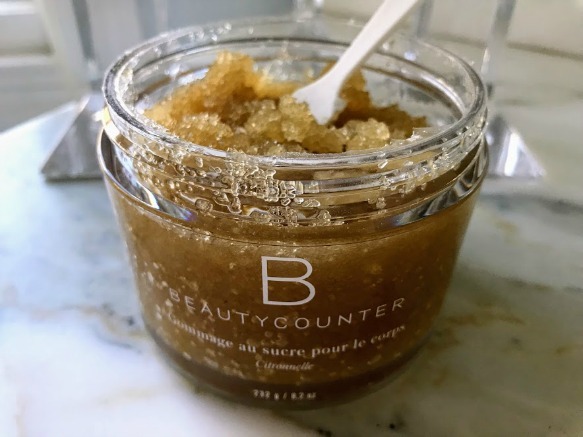 The best remedy is to use this brown sugar body scrub by Beautycounter that not only removes dry skin, but moisturizes and leaves your skin glowing, smooth and hydrated. Use it as a moisturizing face wash that won't strip the oils from your face. You will love how hydrated your face feels right after washing. Simply put it on your face and leave it on. I often put it on just before bed and let it soak in over night. In the morning, my face feels so soft. Not only can you put it on your face - use it as a lip balm to moisturizer your dry lips. A faint fresh fragrance and ingredients that have been selected to be effective yet safe so that you're not slathering on harmful chemicals. Feel good about what your are putting on your skin with this balm for dry face skin care. Have dry skin on your eyelids or around your eyes after a day in the sun and wind? There's no need to worry about this concealer settling in fine lines or wrinkles because it goes on smooth and stays in place even hours later. Press the click-pen button until the tip of the brush is filled with concealer. Apply concealer around your eyes. Lightly pat with ring finger to blend. Wear it alone or on top of foundation. 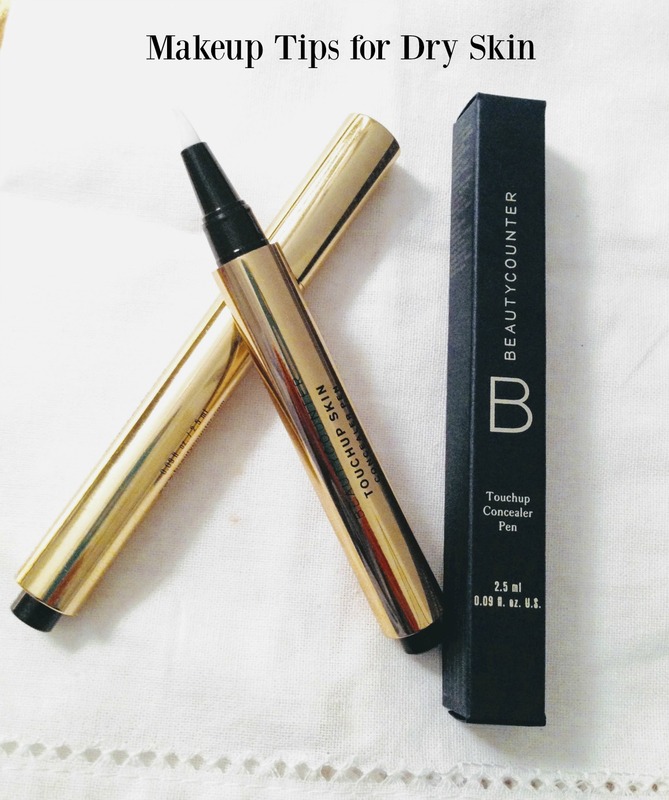 You will love how this concealer works - all while using safer ingredients. You will love how fresh and hydrating this rose water spray feels on your face. 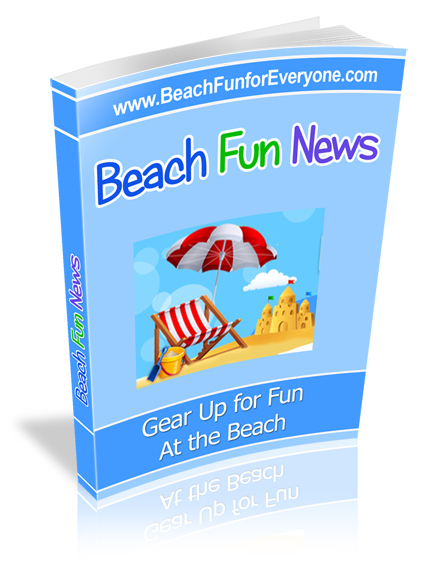 Bring it to the beach and keep it in your beach cooler. Spritz the refreshing cool spray with just a hint of rose scent on your face. It's a toning spray and sets make-up so you can use it on your face with or without make-up on. Safer ingredients like organic rose essence, purified water and moisturizing sodium hyaluronate make it a great addition to your face care products. It tones and refreshes your skin without drying it out. 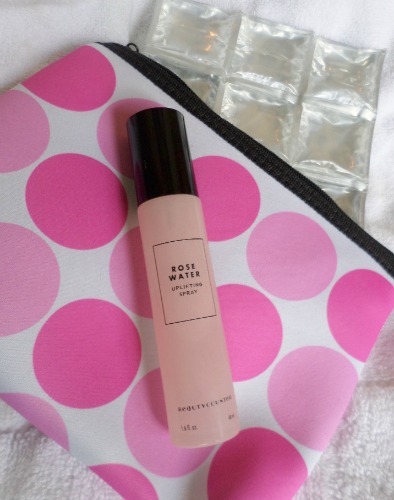 To help prevent your face from drying out at the beach, take the rose water spray in this cosmetic bag that has a small ice pack. 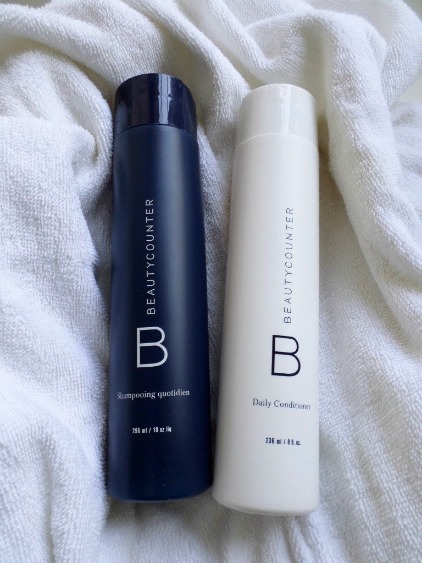 I switched to using Daily Shampoo and Conditioner by Beautycounter after years of suffering from an inflamed and itchy scalp. Little did I know that most shampoos have formaldehyde (but it's listed using many different terms) and fake fragrance. The formaldehyde ingredient in the shampoo I was using caused my scalp dryness and itchiness. After 3 months of using only Daily Shampoo and Daily Conditioner my scalp dryness was gone and my hair was hydrated and soft at the same time it had body and fullness. The key to loving this shampoo is to wash your hair twice - all the oils, sunscreen lotions or conditioners you put on your hair while out in the sun is loosened from the hair shaft during the first wash. The second wash ensures that all of the built up "gunk" is removed and rinsed out of your hair. Be sure to rinse really well. After sun treatment includes drinking lots of filtered water to re-hydrate and using soothing moisturizing products that will get your skin, face and hair hydrated again after a day of sun, wind and water.